Our headlight repair and restoration kit is the only kit that enables you to restore headlights back to OEM quality using the unique protective clear coat included. No need to dismantle the headlight assembly, all work can be carried out at the workplace. Short process times and a reduction of material and disposal costs. You can use the kit on all polycarbonate covers, it is fast drying with high elasticity with a permanent protection. 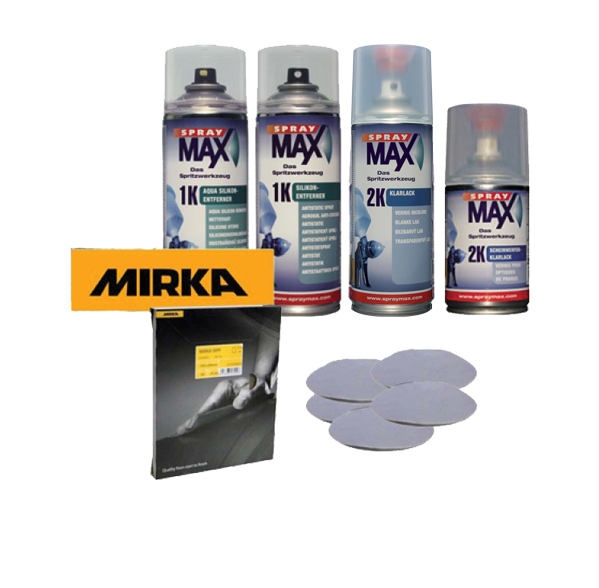 Includes 4 SprayMax aerosols and all the sanding discs/sheets you need. For more information about our Headlight repair Kit click the button below to download the print friendly PDF brochure.